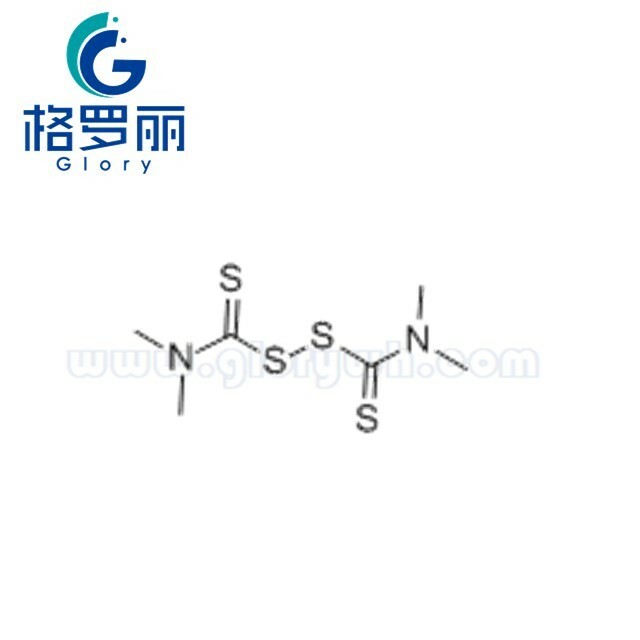 Application: It can be used as a single accelerator, as a secondary accelerator or as a sulphur donor in most sulphur-cured elastomers. Scorchy and gives fast cure rates. Produces an excellent vulcanisation plateau with good heat aging and compression set resistance in sulphurless and EV cure systems Good color retention is obtained in non-black vulcanisation. A valuable secondary accelerator for EPDM. May be used as a retarder in the vulcanisation of polychloroprene rubber and also be used as bactericide and pesticide.